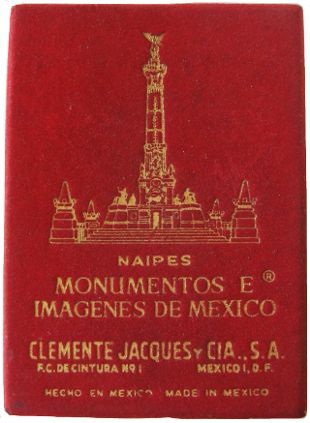 This Monuments and Images of Mexico deck for the tourist souvenir market was produced by Clemente Jacques y Cia S.A. during the 1950s, printed by offset. 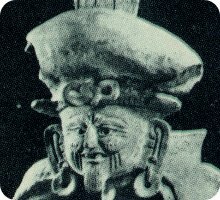 A different tint is used on the photographs of Mexican cultural artefacts and historical hotspots in each suit. The title of each card is printed in Spanish below each image. The manufacturer's name can be read on one of the four Jokers (bottom row). The cards reflect Mexico's picturesque capital city and many centuries worth of ancient artworks and monuments. But they are presented in international poker format, rather than with Mexican suit symbols. 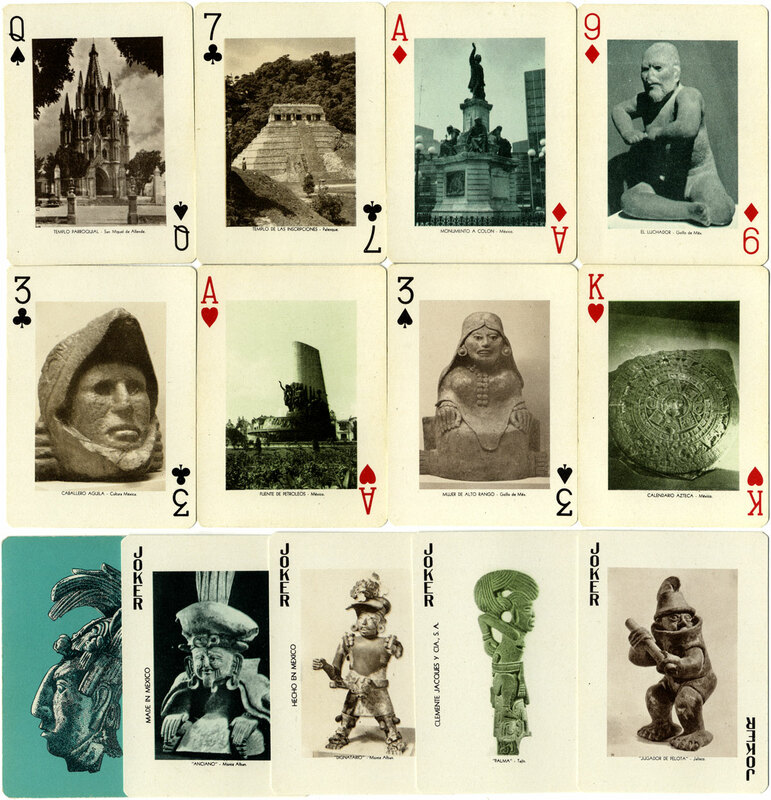 Above: Souvenir of Mexico playing cards by Clemente Jacques y Cia, S.A. The complete deck contains 52 cards + 4 Jokers. The velvet covered box is shown below.